GOALS: Protecting the vanishing jaguars of Argentina, the southernmost jaguar population, and promote the future expansion of its range. ACTIONS: Reduce habitat loss, degradation and fragmentation, enable prey base recovery, and reduce retaliatory killings. The jaguar is the largest predator in the Americas, found from northern Mexico to Argentina. The Yungas of north western Argentina, the jaguar’s southernmost enclave, has the potential to act as a source to recolonise other habitats where the jaguars once roamed. Although fully protected by law, these jaguars are threatened by persecution and by the degradation and fragmentation of forests. 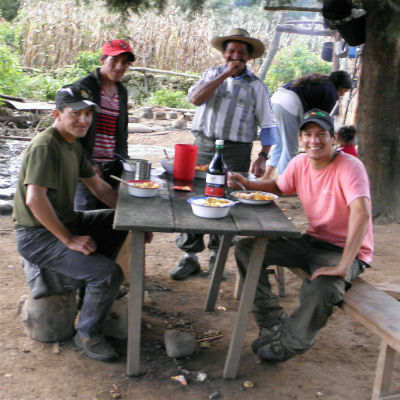 Since 2011, Jaguars in the Fringe has been working to secure the survival of jaguars in the threatened Yungas, targeting human-jaguar conflicts through education and improvement of livestock practices. It supports local governments to more effectively protect the Yungas and its wildlife, through the implementation of the Jaguar Strategic Conservation Plan for the Yungas. By working with diverse land owners (ie, state, forestry, citric plantations, large cattle ranches and small farmholds) it promotes the recovery of wild prey populations. 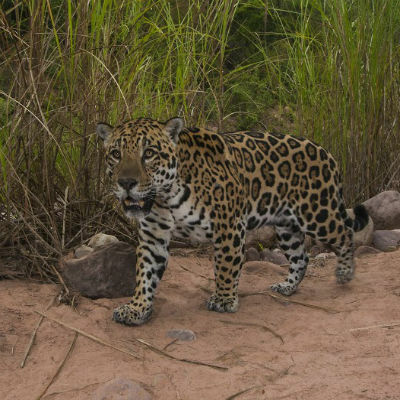 To reduce livestock losses to jaguars, and associated killings of jaguars, Jaguars in the Fringe works to change current negative attitudes among the local community towards large carnivores. To achieve these objectives, Jaguars in the Fringe assists government agencies to implement legislation more effectively; increase awareness among all stakeholders; and implement outreach activities to reduce poaching. A region-wide camera trap survey contributes more reliable estimates of jaguar and prey populations, the identification of key areas for conservation, and a better understanding of the ranchers’ attitudes toward jaguars. 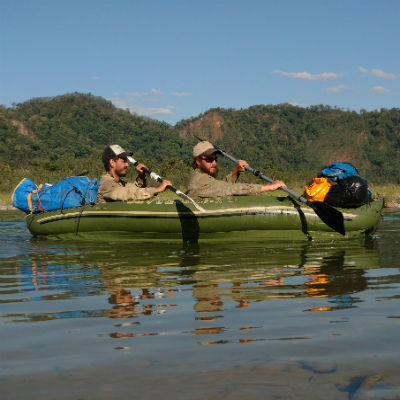 Born Free supports this project in partnership with WildCRU, Argentina’s Administración de Parques Nacionales (National Parks Administration), and Fondation Segré.